IT’S FINALLY the end of the longest-running midterm election engagement in our modern political history, and the show’s just ended. More than three weeks after the marquee voting results of Election Day Night, returns are still trickling in and adding up. What they’ve been adding up to is Democrats padding their already formidable lead in the House. On Nov. 26, after more than two weeks of votes being courted, the open House seat in the Utah 4th Congressional District finally went to Democrat Ben McAdams, who defeated incumbent Mia Love, his African American opponent and the first black female Republican elected to Congress. In her concession speech, Love brought out the rhetorical barbed wire, much of it reserved for the head of her party, President* Donald Trump, who shafted her rhetorically from the White House previously for not taking his sterling political advice. And in the California 21st, on Nov. 26, the pundits finally called a race that was a long time finishing. Democrat T.J. Cox narrowly defeated Republican incumbent Rep. David Valadao by scant hundreds of votes. News organizations held off calling this race for awhile, and with good reason; thanks to absentee and mail-in ballots, the lead changed hands more than once since Election Day. But Cox's win makes him the 40th Democratic pickup of the 2018 midterms, the biggest single flip in the House of Representatives since 1974. But we’d really been waiting for the outcome of three other races in particular. 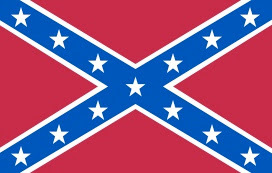 Florida, Georgia and Mississippi — cradles of the Confederacy, whose voting patterns are political hexadecimal standards for the color of Republican red — finished late and brought the drama with them. Now, like so often in the national past, all three states strained to confront the national future. They’re not doing well at it. The outcomes were almost forgone conclusions, for all the wrong reasons. We knew this was coming, somehow, not least of all because we've been here before. Florida, especially. Gov. Rick Scott toughed it out and defeated incumbent Democrat Bill Nelson. In that ultimately successful bid, Scott adopted the reflexive Trumpian battle cry of voter fraud! and then impounded voting machines in deeply multicultural Broward County, an outrageous case of voter suppression after the fact (and so recognized by a circuit judge). “If this was happening in any other country the US would be insisting on sending in UN oversight,” RonaldAJCocks tweeted on Nov. 11. Shortly after Andrew Gillum, the galvanizing African American mayor of Tallahassee, defeated incumbent Rep. Gwen Graham in the Democratic primary for governorship of Florida, the Republican candidate, Ron DeSantis, made his presence known. DeSantis, a white congressman for the state’s 6th Congressional District, sent the people of the Sunshine State a wink of a warning, whose sub rosa implications couldn’t have been more obvious. “The last thing we need to do is monkey this up by trying to embrace a socialist agenda with huge tax increases and bankrupting the state,” DeSantis said on Fox News, invoking a racist dog whistle that wasn’t so much a dog whistle as it was a klaxon on a battleship. 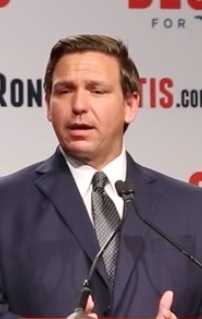 DeSantis’ behind-the-hand play for racial solidarity was ultimately rewarded by a loyal GOP base, a time-tested party infrastructure, and an apparently skeptical electorate (some of whom, it's suspected, didn't tell pollsters the truth about who they planned to vote for). DeSantis defeated Gillum on Nov. 6 by one percentage point, to become Florida’s next governor. Fast forward to this year. Republican Brian Kemp, the Georgia Secretary of State and a candidate for governor, directed the sidelining of 53,000 voter registration applications, 70 percent of which were from black residents. It took a ruling from a federal judge – who called “differential treatment inflicted on a group of individuals who are predominantly minorities” for what it is — to stop this crap just four days before the election. Stacey Abrams, Kemp’s Democratic challenger for the statehouse, launched and maintained a vibrant, diverse, uplifting, genuinely populist campaign that tapped into the need for change in the state’s racially reflexive political foundation. 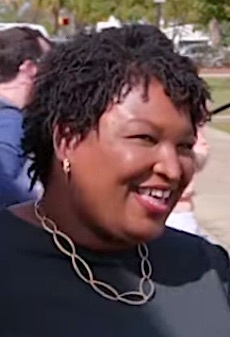 Abrams, a lawyer, romantic novelist, entrepreneur and Minority Leader of the state House of Representatives, surprised Democrats and Republicans alike with a campaign whose grassroots, ecumenical outreach showed that her appeal was way wider than just those black voters expected to vote for her. By Election Day Kemp was hearing footsteps; the Abrams crew was serious. The Democrat parlayed a winning personality and inspirational messaging with the smart embrace of a fascinated national news media. Kemp just doubled down on the same dumb tribal ugly he noisily brandished in his campaign ads, replete with shotguns and chain saws. ABRAMS AND Kemp were locked in a fight for every last vote. Abrams took an early, sometimes sizable lead in the metro areas. And then history sunk in. It took more than a week for it to happen, but it did. Like two fighters in the ring, they traded blows, and leads, as provisional and absentee ballots ebbed and flowed for both candidates. Abrams got strong vote from city dwellers, women and independents, and black turnout in her corner was a lock. Kemp made full use of rural voters and any others walking point on Trump Hill. Finally, on Nov. 17, the election was certified, with Kemp besting Abrams by about 55,000 votes. Kemp, the secretary of state and perhaps the first U.S. state official to preside over the operational mechanics of his own election, became the next governor of Georgia, prevailing in the closest such election in 50 years. THE LAST BIG race of the 2018 midterms was decided in Faulkner Country. The contest between white Republican incumbent Cindy Hyde-Smith and African American former congressman Mike Espy for the seat representing Mississippi in the United States Senate perfectly, painfully reflected the state’s tragic, corrosive history. It didn’t take Hyde-Smith long to capitalize on that history. 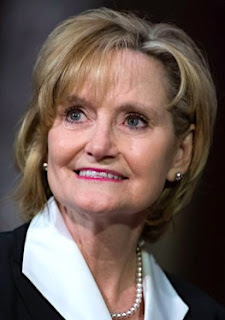 She was recorded earlier this month offering oblique, off-the-cuff praise for an acquaintance and saying, “If he invited me to a public hanging, I’d be there right in the front row.” In a state that led the nation in the number of lynchings in the Jim Crow era, Hyde-Smith’s comments were inartful, to say the least. She took the obligatory All Apologies Tour, offered the ritual quasi-my-bad for making the remark, and denied her comment was a veiled reference to lynchings. 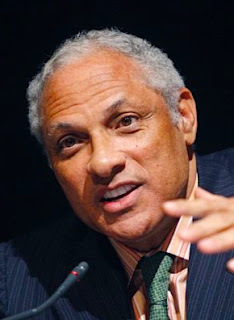 Mike Espy, a Secretary of Agriculture in the Clinton administration, did all he could to carry the Democratic torch high in a state where Dems have not had a history of winning in a long time. Espy appealed to the better angels of Mississippians, calling on them to shed the fears and assumptions of the state’s grimmer antebellum heritage. Much like its neighbor to the east, Mississippi has grappled fitfully with its own history, especially the uglier, more tribal dimension of its role in the drama of the civil rights era. Maybe the state was subconsciously inspired by something out of its own lore. Maybe it was white supremacy’s transaction with the devil at a literal crossroads, not some hypothetical intersection in the Delta, but in the statehouse, in the offices where the laws were made — and in the common heart of a population enamored of the static comforts of heritage. History is hard to let go of when history is so much of what defines you. On Nov. 27, Mike Espy of Mississippi became the latest victim of that brutal fact. THE CHALLENGER polled well in the cities, and swamped the incumbent in some counties. But little by little, Hyde-Smith pulled ahead, lifted by provisional and absentee ballots, and the power and weight of a tradition that would not be denied. Espy lost by 8 percentage points (54 to 46) when the race was called on Nov. 27. There’s a proven rule for the short-sighted among us: The future isn’t a problem, or even a challenge, if you just refuse to believe in it. 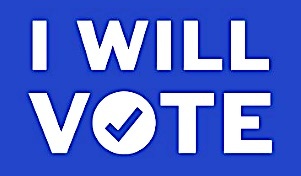 The midterm results in Florida, Georgia and Mississippi — and the shadow of voter suppression hanging, by a little or a lot, over all of them — show three states determined to observe that rule at the polling place, three states whose relationship with the future is more problematic than the one they have with the future's opposite state of time. William Faulkner got the gist of that rule, and framed the consequence of that reality so eloquently years and years ago. Image credits: Abrams: Screengrab from "The Circus," on Showtime. Hyde-Smith: Tom Williams via Getty Images. 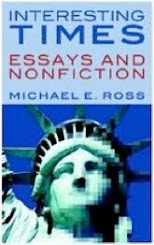 Espy: Rogelio V. Solis, Associated Press.